When deciding on a college, most students prioritize affordable tuition and desired degree programs. 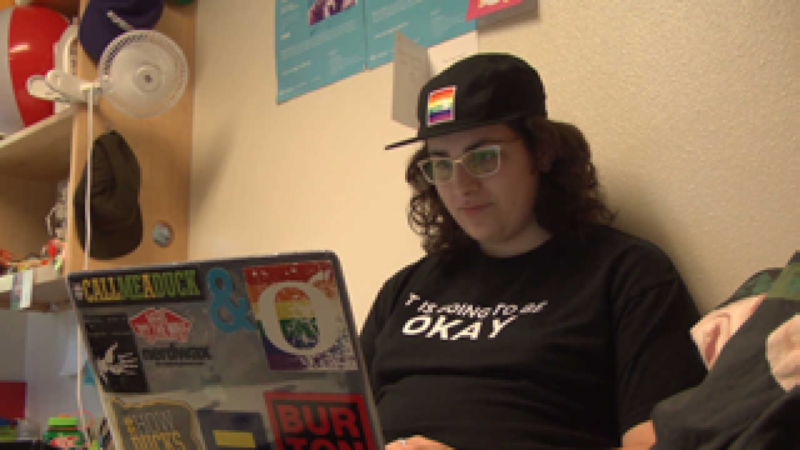 For Sorrel Rosin, an openly transgender freshman at the University of Oregon, finding an institution offering a safe and respectful environment mattered the most. People who identify as lesbian, gay, bi-sexual, transgender, queer or non-conforming have historically been targets of physical, mental and verbal abuse in academic and social settings, according to many psychologists. For students in this underrepresented community who are pursuing higher education, finding support as they discover and accept their identity is essential. According to a 2017 study by the Journal of College Student Psychotherapy, self-identified transgender students from more than 73 college campuses reported greater exposure to trauma and higher rates of suicidal experiences, as well as different causes of reported stressful periods, than their cisgender peers. Additionally, The Youth Suicide Prevention Program reports that more than 50 percent of transgender youths will attempt suicide by the time they reach the age of 20, and gay youths are more than four times as likely to be suicidal than their peers. The added stress of leaving for college is when supporting these students is critical. After Google searches and a campus visit to UO, Rosin discovered the Gender Equity Floor, which houses students in an inclusion initiative called the LGBTQIA+ Scholars Academic Residential Community (ARC). “When I came to visit and I saw the school, walking around campus was the first time I felt like people weren’t staring at me like I was some object or alien,” they said. The LGBTQIA+ Scholars ARC is one of many campus inclusion initiatives for LGBTQIA+ students that has earned UO national praise. Rosin’s roommate, Kinsley Ballas, a junior transfer student, found out about the ARC during her housing application. Ballas identifies as gay and grey asexual, which means she doesn’t know when she will be sexually attracted to others. After the ARC’s inception, and the addition of numerous institutional and student-run inclusion initiatives, including a Queer Ally Coalition, an OUTlist and an LGBTQ Alliance, UO was honored as one of the top 25 schools for LGBTQIA+ students in 2015. It has remained in the top 25 as of 2017 and is the best in Oregon as of 2018, according to the campus pride index (CPI). The CPI is operated and measured by Campus Pride, a national nonprofit dedicated to improving the experience of LGBTQIA+ students pursuing higher education. The index is measured by the aggregation and analysis of programs universities provide for LGBTQ students. Dr. Dean Mundy, a public relations professor at the School of Journalism and Communication at UO, who researches diversity in PR campaigns and other organizations, said that UO’s superior resources and prestige, compared to other institutions, may affect the merit of this rating. In other words, a university offering similar or better inclusion programs may not receive a fair evaluation. Despite this, the index is helping the university’s marketability and is attracting students looking for an inclusive experience, he said. “When you’re 17, 18 thinking about school, regardless if you’re out to yourself or others, something like the CPI helps prospective students determine if this environment is going to help them with their academic and social experience,” Mundy said. Many out-of-state LGBTQIA+ Scholars ARC students come to UO because of this index, said ARC faculty director Dr. Judith Raiskin. “However, the culture on campus could still be a little better,” she said. According to Mundy, improving this culture may rely on a concentrated effort to strengthen relationships and connections among the student body. “If you meet somebody who is different from you, the level of any prejudice is dramatically lower,” he said. 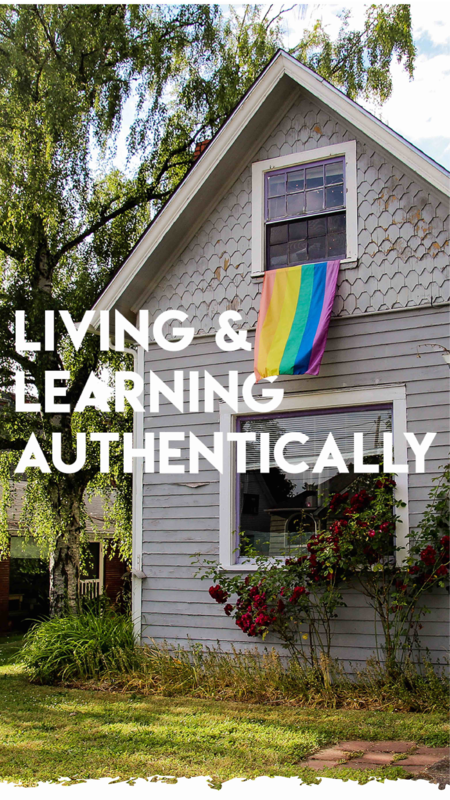 UO is certainly not the only educational institution offering gender inclusive housing and identity-based courses; however, what’s unique about the operation of UO’s identity-based ARC is that students can take queer and women’s and gender studies courses, as well as other similar social justice courses, with a student cohort that elects to live on the GEF. When I was looking at colleges, I didn’t think there was going to be a comfortable place for me to live, and it was really concerning.